Hock Lu’s primary area of practice is in criminal defence litigation, and he has experience assisting in a variety of offences. Hock Lu believes in the need for every accused person to have a chance to be heard, and the importance of adequate oral and written advocacy. He is committed to listening to every client empathically and impartially, so that he can best guide them through the criminal justice system. He graduated from the National University of Singapore with a Bachelor of Arts (Hons) in 2014, after which he went on to pursue and obtain a Juris Doctor degree at the Singapore Management University. 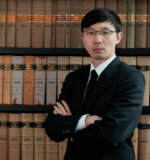 He was admitted as an Advocate and Solicitor of the Supreme Court of Singapore in 2018. Having spent an extensive amount of time in the field of criminal defence as a legal trainee, Hock Lu joined the criminal law specialist firm, Kalidass Law Corporation, thereafter as an Associate.